Hearing a band bring back a sound about twenty years removed may sound like a risky move, but local Pennsylvania four-piece Daylight have managed to help bring back ‘the 90s sound’ with amazing alacrity. 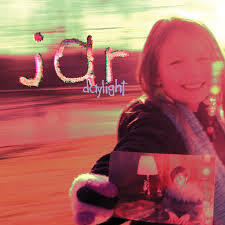 With their single “Life in a Jar” from their April 2013 release Jar, the band have begun to revive this definitive sound with the track’s huge, guitar-heavy chorus; chilling verses; and lyrical darkness and melody choice that sends shivers down the spine. The tune’s incredible energy, as well as its impressive dynamic capability make for a memorable listen that feels reminiscent, yet still definitively unique. The brooding nature and power of “Life in a Jar” makes for the perfect listen for anyone who holds any affections for the likes of 90s acts such as Nirvana and Soundgarden, and also for anyone who just enjoys a solidly rockin’ tune. Check out the band’s creative and equally intriguing music video below! Dig it, Devils!